Blog 5X Batteries? How About 70,000X Solar Cells? Matt Shipman of North Carolina State University News Services reports on a connector that could allow stacking solar cells without losing voltage. This stacking could allow cells to operate at solar concentrations of “70,000 suns worth of energy without losing much voltage as ‘wasted energy’ or heat.” This could have tremendous implications improving the overall efficiency of solar energy devices and reducing the cost of solar energy production. Stacked solar cells live up to their name, simply being several cells stacked on one another, with their layering leading to up to 45-percent efficiency in converting solar energy into electricity. So far, the big drawback has been the junctions between cells, which tend to waste the energy from the connected cells as heat. Some manufacturers use concentrating lenses to focus solar beams on cells with the hope of extracting more energy, up to the equivalent of 4,000 suns or more. Unfortunately, when concentrators increase solar rays to 700 suns or more, the connecting junctions in stacked cells lose this energy, bleeding off more as voltage is increased. Bedair explains the benefit of his discovery. “Now we have created a connecting junction that loses almost no voltage, even when the stacked solar cell is exposed to 70,000 suns of solar energy, and that is more than sufficient for practical purposes, since concentrating lenses are unlikely to create more than 4,000 or 5,000 suns worth of energy. 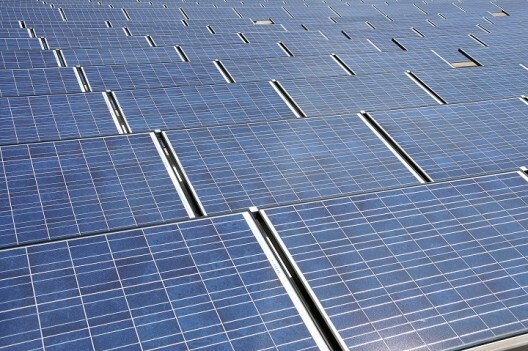 This discovery means that solar cell manufacturers can now create stacked cells that can handle these high-intensity solar energies without losing voltage at the connecting junctions, thus potentially improving conversion efficiency. Whether such technology can be applied to electric vehicles remains to be seen, but the best we can hope for at this time in conventional single-unit solar cells is around 20 to 25-percent efficiency. The 100 Watts per square foot that fall on a solar panel on a good day might yield 25 Watts, with 100 square feet of solar cells on an example wing producing 2,500 Watts. This is not enough for sustained flight in any but the most feathery of aircraft, and accounts for the use of batteries in the Solar Impulse (although that’s partly to enable overnight flights) and Sunseekers. Batteries in these cases allow short bursts of power to enable takeoff and climb. Whether 4,000 suns worth of energy will convert to 4,000X outputs remains to be seen, and the concentrating mechanisms necessary might not work aerodynamically, but even the partial realization of such a breakthrough would allow almost any craft to be solar powered. Concentrators have value because mounting solar panels is a significant part of system cost, and concentrator designs allow you to mount fewer of them. But concentrators do not increase the total power available: the power is limited by the total area of the collection system. The amount of energy SunSeeker can capture is determined by the airplane’s top surface area. No concentrator design can improve on that: you can’t get 4,000X the power from the same total area. So, for flight applications, probably not so great. For fixed solar power, may be interesting. Concentrating solar cells won’t solve the aircraft power problem in flight as the total solar energy impinging an aircraft is the same either way. Thin, high efficiency cells can cover the surface at minimum weight and drag. Concentrating lenses would require space behind them plus a means of tracking the sun to get the solar image on the solar cell – requiring space, complexity and weight that the area covering cells don’t require. For solar energy ‘farms’, this would be a real alternative, but for mobile use, no.